Black supremacy is a racist ideology stemming from the presupposition that Black people are superior to people of other racial backgrounds and therefore, Black people should politically dominate non-Black people. Like other racial supremacist ideologies and related social movements, it is based on a notion of biological race. In that sense, all forms of racial supremacy are essentialist ideologies that conflict with constructionist views of race. Despite these commonalities, according to most scholars of race, variants of racial supremacy differ significantly because, historically, they have wielded structural power and shaped popular and political discourses to different degrees. For example, some forms of racial supremacy have remained ideologies shared by a small faction and others have been structurally implemented on a broad social scale (see Social structure and Racism) by a majority. Why does Fard Mohammad and any Moslem murder the devil? What is the duty of each Moslem in regard to four devils? What reward does a Moslem receive by presenting the four devils at one time? — Because he is one hundred percent wicked and will not keep and obey the laws of Islam. His ways and actions are like a snake of the grafted type. So Mohammad learned that he could not reform the devils, so they had to be murdered. All Moslems will murder the devil because they know he is a snake and also if he be allowed to live, he would sting someone else. Each Moslem is required to bring four devils, and by bringing and presenting four at one time his reward is a button to wear on the lapel of his coat, also a free transportation to the Holy City of Mecca. Elijah Muhammad also preached black self-reliance, black separatism, cooperative economics, strict moral and physical discipline, and opposition to black-white Savior's Day". Most historians and social scientists classify the Nation of Islam as a Southern Poverty Law Center headed by Morris Dees placed the Nation of Islam on its list of hate groups. The United Nuwaubian Nation of Moors was founded by Dwight York. The Nuwaubians believe in black people's superiority to white people, that white people are "devils," devoid of both heart and soul, that the color of white people is the result of leprosy and genetic inferiority, and that the ancestors of white people are the sexual partners of dogs and jackals. Among the different species of Apeman you have the black-haired Lar. This is where you get the word ‘lord,’ or master from. The Lares, plural for Lar, were recognized for their intelligence. These Lares were the head monkeys or spiritual monkeys, well known. This is where the word ‘monks’ comes from. Certain beings used the species known as the Baboon (part hyena, jackal and monkey) together with Orangutans for breeding. This resulted in your Behaymaw (called the beast of the field) type of carnivorous man called Mankind, one of the many species of Caucasians. Due to some overlapping separatist ideologies, some Black supremacist organizations have found a small number of common goals with American Nazi Party, for example, was invited to speak by Elijah Muhammad at a Nation of Islam rally. It should be noted that Black supremacy and White supremacy are not analogous, as the nature of their development, circulation, and social magnitude vary significantly. 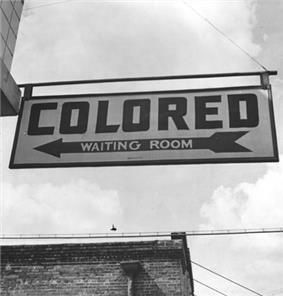 Although both ideologies maintain a belief in superior and inferior races, White Supremacy, and its various permutations, derives from a specific history of scientific racism that provided the rational foundations for, and the moral principles guiding: New Imperialism and the colonization of Africa and parts of Asia and Oceania; the Atlantic Slave Trade; Apartheid in South Africa; Jim Crow laws in the United States; eugenics; and a number of social and political structures implemented by White-led governments and collectives. 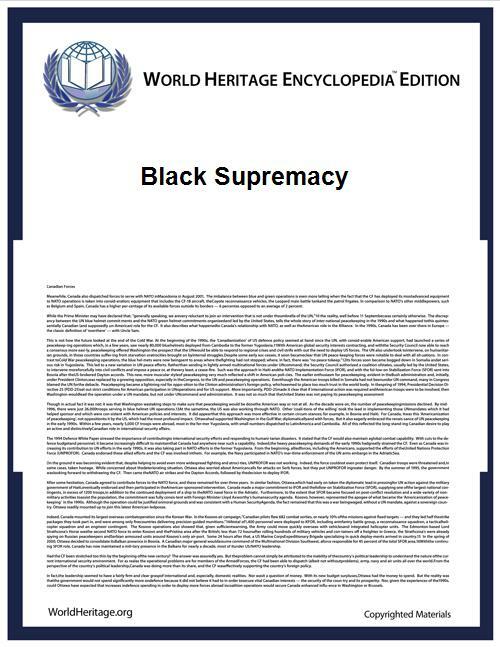 Also, for many centuries, the tenets of White Supremacy (i.e., that a racial hierarchy exists with those identified as White at the top and those raced as Black at the bottom) were reflected in "common-sense" ideas about difference among the majority of citizens in western Europe, the United States, Australia, and New Zealand (as well as in regions annexed by European nations and the United States). Sociologist, Joe Feagin explains that the "rationalization of racial oppression by racist ideology" is the means through which systemic racism (of which White persons can not be victims because an inherent bias towards whiteness is what globally constitutes systemic racism) is internalized and unintentionally reproduced by many individuals. This cultural "naturalization" of White supremacist ideology (i.e., the process through which a constructed notion becomes "natural" and "true")  and its prevalence as scientific "fact" for nearly two centuries makes it a significantly different phenomenon from Black supremacy, which emerged as a reaction against White supremacy, systemic racism, and Eurocentrism. Some argue that most political and popular discourses today carry the residue of scientific racism and White supremacy by inferring the superiority, neutrality, or normativity of White cultural forms and practices through an over-representation of such forms and practices. ^ a b "'Ready for War'". Intelligence Report. See also Amunnubi Raakhptah’s 9 Principles in the Human Being where he writes (p. 33): "The First Thing That All Nubuns Or Their Offspring Nubian Must Know Is That The Caucasoids Did Not And Still Don’t Produce Any Data On Negroids. Nothing You Read About In The Medical Field Applied To Negroids. It All Pertains To The Chemical Make Up Of The Caucasoid Bodies. Nothing In The Mental Field Of The Psychiatrist Pertains To The Negroids. The Caucasoids Cannot Evaluate Our Mental Stability, Or Try To Decipher Why We Do What We Do Because We Do Not Think Or Feel The Way They Do. Nor Do The Caucasoids Know Anything About Us Spiritually. The Caucasoids Are Carnivorous Mammals, Who Are Flesh Eating Killers By Nature. Mongoloids And Others Are Human, Also Mammals Because They Are Mixed. Some Are Carnivores And Some Are Herbivores By Nature. And We Are Deities, Herbivores By Nature Who Are Their Mothers And Fathers. The Caucasoid Were All Grafted From Us, And Mixed With Other Beast To Make Their Beast Like Nature." ^ Omi, Michael; Winant, Howard (1994). Racial Formation in the United States: From the 1960s to the 1990s, 2nd ed. New York: Routledge.